You created a great page on the web and nobody came to admire it. Sounds familiar? Welcome to the club! Well, you obviously need some sort of promotion to improve the situation. In the world of web this spells: L.I.N.K.S.! But before you spend hundreds of hours and thousands of dollars you should cover the basics. Here is my Top 10 facts about links! How many links to my site? Too many links! No way! 1. Number of links pointing to your direction is one of the most important factors for your success. Quantity really tells a lot about your popularity. If you have a lot of links, you have a lot of votes in the eyes of search engines. In general more links you have, more chances you have to win the race in SERP. For some noncompetitive keywords couple of links can boost you to the number one position in results of searches. For more competitive words even thousands of links can't guarantee you first page (and first page is always MUCH easier than first position). In the Wild World of Web the number of links is the most simple and easiest understandable term when you compare popularity of one page with another. So if your position don't satisfy your appetites, you should probably get more links! 2. Search engines don't treat all links the same. Internal links for instance (one page of site A links to another page of the same site) don't count the same as external links (one page of site A links to the page of site B). Using internal links is sometimes called interlinking. In general we have control on all internal links (for instance I can interlink my posts on one of my blogs) and control on links pointing out of our sites (I decide where and how I will link from my posts) but we don't have much control on links pointing to our sites. For this reason it is logic this links have more influence on our rankings. But internal linking can still be very powerful tool which is particularly useful in blogging and other Web 2.0 sites (like Wizzley or Squidoo). Lack of internal linking is one of most common mistakes on the web. 3. One of most important tags associated with links is a nofollow tag. Link with a nofollow tag is called nofollow link. Link without nofollow tag is called dofollow link. There is no dofollow tag, this expression is just part of web jargon. The main difference between nofollow and dofollow links is passing of authority. If you link from your site to other site, you are basically voting for this site. You are giving it 'thumb up' and search engines will probably although not necessary reward this site with better rankings. With your vote part of your authority is passed from your site to the other site. If you use nofollow tag, search engines will not pass your authority to this site although part of your authority is still lost. So use nofollow links wisely. You need quantity and quality! 4. It is a known fact some links are better than others but nobody can't say how quality of certain link is determined. One of important factors is certainly relevancy. If I link to my site about importance of fairy tales from the post about Cinderella this link will certainly have more quality than link from this page (which is talking about links). Another factor is PageRank. 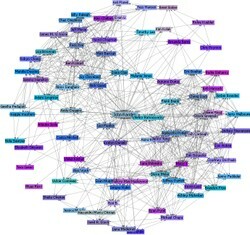 There is a lot of controversy about PageRank but I believe PageRank is important factor. I have seen the importance of PageRank on so many of my pages nobody can convince me it is not important. But it has to be understood. Power of PageRank is shown at links, not at site itself. Of course you can still read what is PageRank and more on this subject. One more important factor is age of link. Older links carry more weight than fresh links. Age of site and page (or post) with a link is important too. And there is more, much more to tell about the quality of links, but I hope the general picture is already clear. Quality of links really counts! Links A ---> B and B ---> A are called reciprocal links. Of course A and B could trade with C, D and so on and soon there was also automation available. Link exchanging is still alive, but is loosing popularity. You can be actually penalized if you participate in link exchange schemes. Most of it is made through java which is invisible to search engines so sites involved don't risk so much. But they are still in risk. I think some link exchanging can be good for your on-line presence if it is done right but only if the reciprocal links are a part of link building strategy. In normal world it is cool to have connections with different people and web is trying to imitate real world. This way we don't have classic reciprocal links but two one way links which are in general more powerful than reciprocal links. Is your link in index? 6. Search engines can be very whimsical sometimes and for some reason certain links are not indexed. This means they don't carry any weight in search rankings and they can bring traffic only if somebody clicks on them. For instance my profile on Wizzley was not indexed after more then eight months of my presence here. And sometimes a link stays in index even after you delete entire page. 7. Links differ from each other by many factors and anchor text is another important one. First link is without anchor text and the other is with anchor text. Click will have the same effect in both cases but the link with anchor text 'tells' search engines what is the article under link all about. Anchor text was heavily abused in the past, so we have to use it wisely if we don't want to risk being penalized. 8. Very important part of link building strategy are so called deep links. This means you should not link only to your so called landing page but also to your support pages. Not only to your blog but also to specific posts (yes, plural) of the very same blog. Not only to your sale article but also on other articles which are related (and linked) to your sale article. And if you can, link also to specific modules in your articles! Deep links are overlooked but I have seen they can be of big help if they are smartly used. Shall we pay for links? 9. One way or another we always pay for links. If we don't spend money, we spend time. Sometimes A LOT of time. Some people say they don't need links. They just write great content on 'Google friendly site' like Wizzley. They are wrong. When you publish an article on such site you are actually using the power of thousands of links pointing to this site. You pay for these links with fresh content and maybe some social activity (most of users are very thrifty with this). Then you hope your investment will bring you some profit. If you use FaceBook or Twitter you also pay for links from these services with time spent to get friends and followers. You also pay with your knowledge. All social and writing platforms need some knowledge to be used and a lot of knowledge to be used to their full potential. How much do you pay for your links? I don't pay for links! 10. The most controversial issue with links is backlinking. Backlinks are links pointing to your landing page. You use them to improve the rankings of your landing page but like most of links related stuff backlinks were really heavily abused and I believe they will be abused for many years. The fact is Google's popu larity and success is built on backlinks and your web success is dependent on backlinks too. If you don't understand the importance of backlinking you will never get first positions in search engine's rankings and your work will be of no use. Of course you can get good positions even without backlinks, but only for keywords with very limited competition and you will keep good placement only until somebody else (maybe with a help of backlinks) decides to beat you for this very same keyword. So I believe backlinks (internal, external, with different anchor text, without anchor text, through images etc.) are still the second most important factor for success on web. Right after original content written with wisely chosen keywords. Backlinks - yes or no? Do you believe in backlinking? I don't do that. I write so great content other people start linking to me right after publishing. I do not do lot of backlinking, but I feel it is important to have backlinks from good articles or websites. Yes, I use all sorts of backlinks. The more the merrier. I think backlinks are important, and help visitors visiting one page, to find another. I think no matter whether Google finds our links important or not, we need to link if we want to get traffic. Otherwise it's as if we are writing with a bag over our heads. If no one knows what great articles we've written, no one will read them. Can you share with us another fact about links? Something from your experience? You are right, WriterArtist, without good content you'll never get backlinks, but my experience is a bit different. With few links I managed to get initial traffic and only after that natural links came. Backlinks require a lot of time, I would rather focus on good content. I never used link wheels, sheilamarie. They are very easy to spot and search engines officially don't like them anymore, although they can still bring results. I wouldn't recommend classic link wheel to anybody. Think about natural look of links - it should be chaotic. For instance A links to B, B links to C, D links to E, etc. and some of them (not all), in my opinion the ones with solid traffic and established positions, link to your main page. Please note another detail - this kind of linkage should not have closed chain, the last page (let's call it Z) should not be linked to A. Some people use something called a link wheel: there's a main page, the hub, and then related pages. One related page points to another related page and to the hub, the second related page points to a third and the hub, the third points to a fourth and the hub, etc., and then the last page points back to the first. That way your internal links are not reciprocal. I have heard of this method and have intended to try it for a long time. I haven't been consistent in putting it into practice. Has anyone else tried it successfully? You are welcome, WriterArtist. This is only basic info on links, for proper backlinking you'll need some patience and experience. Go slow and when you are in doubt, choose the less aggressive option. Thanks for such good tips on backlinks. I have not focused and worked for it before, now I should. I 110 % agree on this one. In old times it was simple - more is better. Now we have three kinds of links: good, neutral and bad ones. And nobody - including the big G - knows what the future will bring. My rule of thumb would be: if real people click on the link and visit your page, this is a good link.